As the year begins, also begin the efforts of low-budget university labs to make ends meet. The scene is unfortunately quite familiar to many of us in Latin America. How can we produce scientific knowledge when money is not enough for equipment or materials? And out of the lab, how can communities work on their local problems, if costs are increasingly prohibitive? 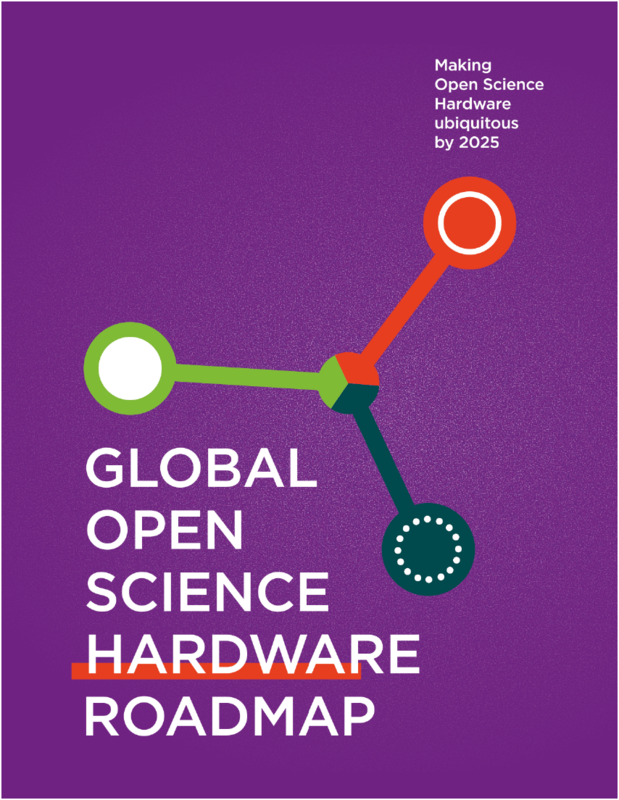 By expanding the free software philosophy into the realm of hardware, a group of more than a hundred representatives of science, education, social organizations, independent artists and professionals from 30 countries published a roadmap which outlines the steps needed in order to make scientific hardware ubiquitous by 2025. The fundamentals behind that goal are open access to designs, collaborative development and digital fabrication techniques, such as 3D printing. GOSH – the acronym for “Global Open Source Hardware” – is a movement that brings together a diverse community around Open Scientific Hardware (OScH). Though the political nature of the topic may not be clear at first sight, the community makes it explicit in its manifesto: GOSH describes itself as an ethical, horizontal movement that aims to empower people and is determined to make changes in the current scientific culture. The roadmap describes in three sections how the community can “Learn” about itself and the ways in which OScH can have social impact, how to “Support” OScH by creating the necessary conditions for its expansion and how to “Grow” in terms of diversity, scale and impact on society. The process of writing the document could be a case study itself: sponsored by the Alfred P. Sloan Foundation, the community began working on a draft of the roadmap in 2016 at CERN, Switzerland and continued to do so in 2017 at Universidad Católica de Chile, besides other online instances. Diversity of perspectives was one of the key items during the meeting in Chile, which included female and trans quota and 33% of Latin American assistants, among others. GOSH Latin American community is still small but incredibly active. One of its highlights is TecnoX, a competition supported by UNESCO that each year gathers developers of open technologies for addressing social problems, and that in April will go for its third edition in Valparaiso, Chile. Most participants are students from the field of synthetic biology. As an example, one of the interdisciplinary teams that was part of the first TecnoX in Buenos Aires 2016 designed a low-cost portable kit to quickly detect cases of dengue – an epidemic disease similar to Zika – in blood tests. To do science, we need tools: whether simple as syringe pumps or complex as a spectrophotometer, the kind of equipment used and who designed it determine a big part of the results. Although it is widely recognized that having reproducible, good quality data is the basics for a solid research work, today very few people understand how their data is generated. Most technologies follow a black box model, where users enter information and materials and get a result without knowing the mechanisms operating behind it. OScH aims to open the black box, giving the opportunity for users to develop creativity and collaboration practices. Granting access to the hardware designs not only enables better understanding of what is being measured and how, but also allows people to modify and adapt tools to different realities, without the constraint of patents. In this sense, initiatives such as Open-LabWare attempt to democratize the generation of scientific knowledge by conducting workshops for PhD students from different African countries, where they show them how to build laboratory equipment from scratch. On the other hand, working with open hardware also produces changes in the relationship between people and technology. The development processes of open devices is based on previous experience of other initiatives, and makes use of the prototyping and iterative methodologies. Given the low costs and therefore the chance of experimenting more, educational initiatives using open hardware are flourishing globally, and some education experts are starting to recommend it as part of STEM teaching at schools(2). Tech Academy is a project that teaches science and IT to more than 200 kids from different communities in Bangladesh, using open hardware. More than 20 social innovation projects emerged from this initiative, which were already implemented in their communities of origin. Shams Jaber, one of Tech Academy founders, says that ‘rather than growing with numbers, we emphasize on each kid having a long lasting impact in their life, and many others through them’. One of the opportunities opened by OScH is for people to appropriate tools, enabling them to develop local solutions for everyday problems. Most of the struggles that communities face in Latin America are not addressed by governments, lacking resources or capacity, nor the market, which sees no economic benefit in getting involved. Collaborative initiatives like GOSH rely on different motivations to develop tools: social justice, access to knowledge, learning, access to better living conditions. Regarding this aspect, one of the most interesting cases in the region is located at the foot of Cerro El Sombrero in Melipilla (Chile), where already 150 people, including many immigrants from Haití, participated of 16 open hardware workshops with the mission of defining and finding solutions to community problems. One of the outcomes was Vuela project, aimed to develop ‘flones’ or open source drones that capture aerial images and obtain data for research in agriculture, disaster response, environment and other disciplines. Its initiator, Paz Bernaldo, believes that ‘free technologies can empower marginalized groups […] Open source hardware, as well as software, is essential to advance the democratization of science and technology’. Without any doubt, one of the key elements of the project is its diverse community: ‘formal’ scientists, citizen scientists, hobbyists and neighbours. The project begun in March 2017 and will continue throughout the southern hemisphere summer with more flones building workshops. An opportunity for the ‘global south’? How would life look like in the so called ‘global south’ (let’s leave the discussion about the term for another post) if we had real access to OScH? Maybe you’d be able to find a cheap and easy way of testing the quality of drinkable water provided by the government, an issue you’ve been worrying about during the last months. Or maybe as you don’t get that excited about building tools, you could reach a community nearby where other people do, and buy the test at a much more affordable cost. Maybe the low-budget public school your kid goes to would open an OScH workshop, seizing the chance of getting low cost components plus support from the online community. Maybe even your kid grows really enthusiastic about it, gets together with friends and they start building that water filter you need at home but you can’t afford right now. All of these hypothetical examples are perfectly possible today, in our countries. The cases mentioned above illustrate a phenomenon that is happening locally, though still shy. If the potential of open initiatives lies within the community generated around them, their wealth is measured in diversity of perspectives and collaborative practices that put that diversity into action. The roadmap proposed by GOSH gives us an overview of what we need do at different levels to learn, support and make OScH grow, so we can take the opportunity and make it real. (2) Blikstein, P. (2013). Digital fabrication and ‘making’in education: The democratization of invention. En FabLabs: Of machines, makers and inventors, 4. Thank you Juli Arancio and the GOSH community for the blog post and your valuable work. a two-day collaborative online event dedicated to documenting circular economy solutions. OSCEdays is collaborating with the Disruptive Innovation Festival 2016 running Open Labs on the Circular City. In a 3 week program we hope to brainstorm, discuss and implement ACTIONS for the transformtion of our cities. Visit the subpage to learn about the different phases, follow the progress, watch the Video Streams and to get involved! In this interview we speak to Stefan Schridde, who has been working on circular economy issues for more than a decade. Stefan has published on planned product obsolescence and featured in the BBC documentary produced on the subject. Here he discusses the role of durability in a future ‘circular society’. Erik Assadourian, Senior Fellow at the Worldwatch Institute in Washington DC, USA and creator of the Yardfarmers TV show, talks about his experience in sustainable agriculture and the promotion of an alternative economic and social framework, in sync with the OSCEdays goals. We are delighted to share with all the participants in OSCEdays 2016 a few messages from experts and practitioners in open source and the circular economy, outlining their work, emphasizing the need for collaboration and welcoming you all to an even greater year for the OSCE community. Allison Mills, science and technology writer and Joshua Pearce, Associate Professor, Materials Science and Engineering, both from MichiganTech in Houghton, Michigan, USA, discuss open source hardware and the future of science.